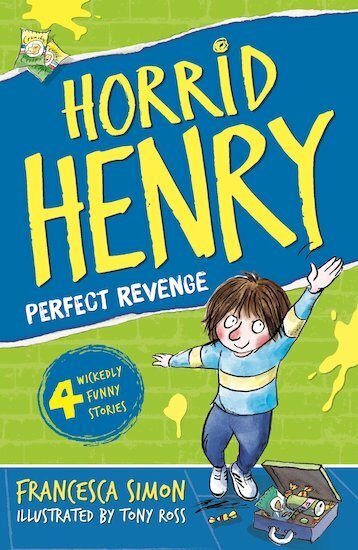 Horrid Henry is plotting revenge on the entire world, and it isn’t going to be pretty! Shudder as he plays his worst ever prank on Perfect Peter. Gasp with horror when he visits the office with Dad. Groan as he wreaks chaos with a computer… and shriek with laughter when he wages war on the Demon Dinner Lady! Four more horribly funny tales. This book peepz should deffo read!! I think it is great because Henry is horrid and his plots are very exciting. I bet it will be good when I read it! This book was okay but I thought it was good when Henry tricks Peter to climb up the tree and Henry runs and its blamed on Peter. I can’t belive that HENRY tricks Peter into going out at 12’O CLOCK at night to see angels!!!!!! I really love Horrid Henry books!!! 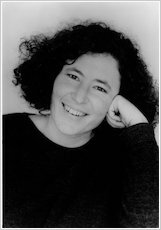 I’m a BIG,BIG,BIG,BIG,BIG fan of Francesca Simon!!! Awesome book because your an awesome author!!! !